LOEW-CORNELL: Soft Half Pastels. These pastels are made of the finest materials available! They are rich in pigment and smooth in texture, these pastels are perfect for the student or aspiring artist. 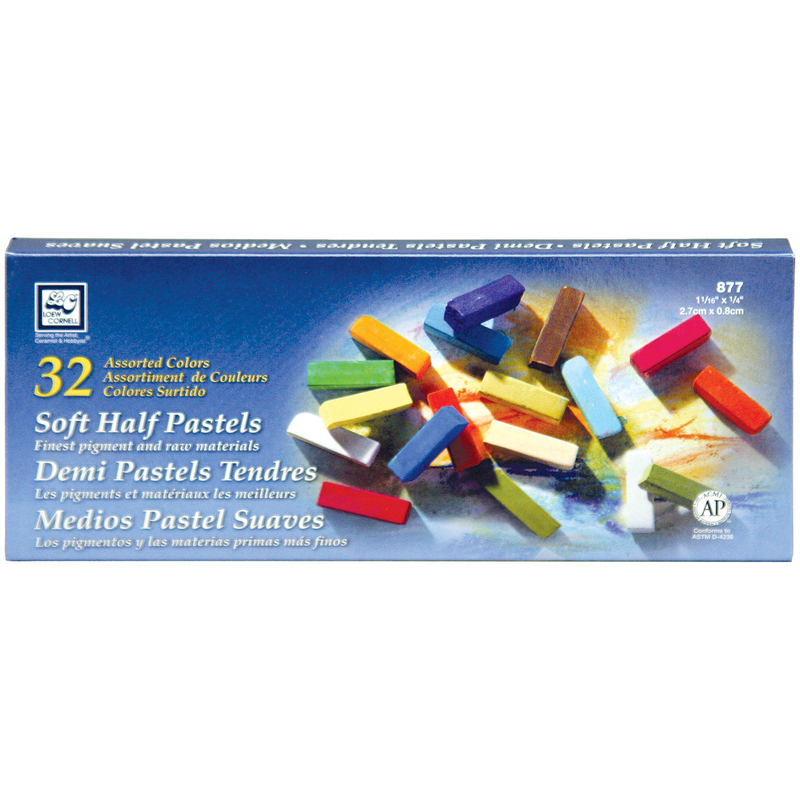 This package contains thirty-two soft pastels in assorted colors. Conforms to ASTM D 4236. Imported.